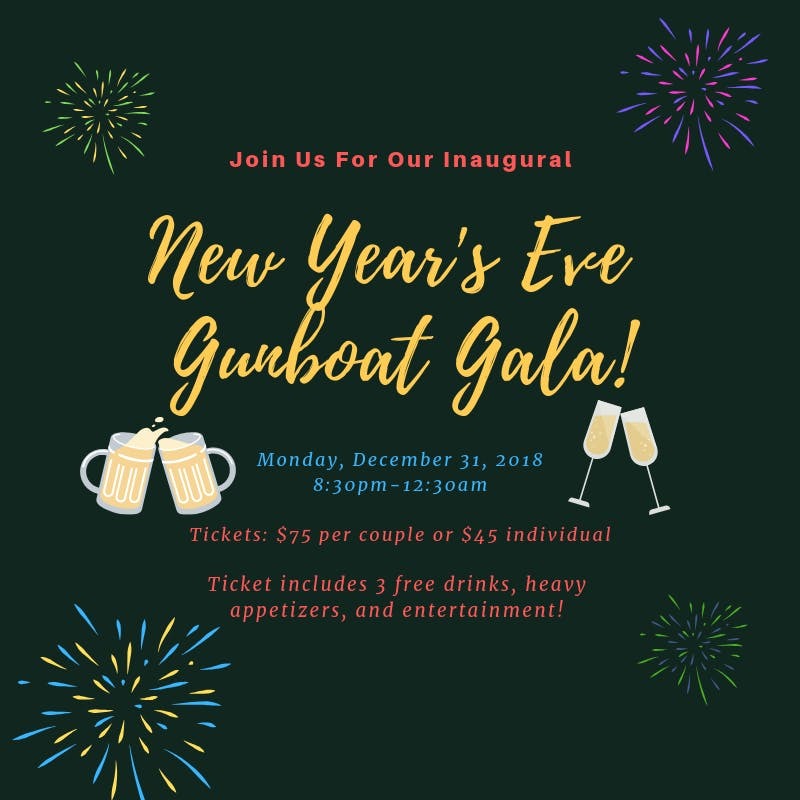 Join the CSS Neuse Gunboat Association at the Inaugural New Year’s Eve Gunboat Gala at the CSS Neuse Civil War Interpretive Center in downtown Kinston. Dine, drink, and dance to great music in the shadow of the only remaining commissioned Confederate ironclad from the Civil War. Dress is modern day formal or 1860’s formal for the event. The funds raised from the event will go towards the completion of the exhibits at the CSS Neuse Civil War Interpretive Center. Tickets are limited, so don’t miss this once in a lifetime opportunity to ring in the New Year!